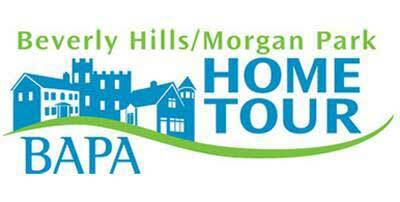 The Beverly Area Planning Association invites you to step inside several outstanding private residences and a must-see institution on the Beverly Hills/Morgan Park Home Tour, Sunday, May 19, 2019. Please pick up your booties and booklet at Bethany Union Church, 1750 W. 103rd Street starting at 12 p.m.
BAPA’s tour showcases homes in the heart of the Ridge Historic District and nestled among the hills of Beverly/Morgan Park. You’ll be treated to a variety of interior designs, architecturally significant buildings, and beautiful landscapes. Enjoy fun and informative experiences inside each location and more. Homes open at noon and close promptly at 5 p.m. Please allow at least 2.5 hours to complete your tour. Booties and booklets are required to visit homes and must be picked up by 3:00 p.m. Note: trolley service is no longer available. Tickets are $30 in advance or $35 on the day of the tour.